Enabling beta updates in any product is simple. 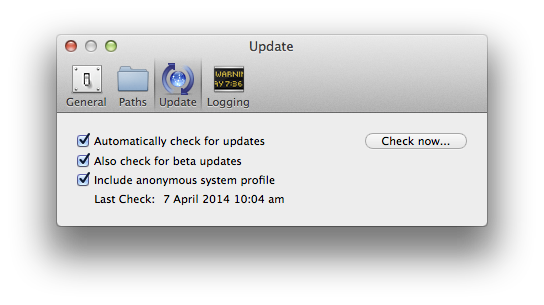 Open up the Preferences for the application and look for the "Software Update" menu. Here's the panel in iShowU Studio. Notice the item Also check for beta updates is checked. That is all you need to do. After you have enabled the beta update option, click the Check now... button, and if there's a valid beta update available you'll get it!